The longest climbs on the course come near the turn-around point in the middle; somewhere between miles 20-24. Originally this was where I figured I’d “make my move” – however, at around this point Max and Cameron had increased their lead to 5-minutes. My legs felt stiff and unresponsive on the climbs and I suddenly feared that I had not tapered enough for this race (I also had Transvulcania next month in the back of my mind). Perhaps the cumulative fatigue of racing a tough 100km at Tarawera in New Zealand, along with a 95-mile week and 30-mile long run a couple weeks later had finally caught up to me? Every little up and down rollercoaster hill rocked my hip flexors and pulled at my hamstrings. But the pace was hot and I still believed in my splits, my mental math, and the sheer work output required to sustain such a torrid pace for 50-miles of rolling hills. I knew all I could do was run my best for that day…whatever that was going to be. At mile 28 on a gradual uphill climb I decisively put the hammer down for the first time and gave chase. Racers running in the opposite direction on the out-back course encouraged me (and provided me with valuable, tactical race information) as I gained a second wind and increased my effort to work my way back up to the lead. I grinded up some hills right around 7-min flat pace and really felt the intensity of the effort…motivated more than ever to make up ground as I gained confidence. When I stopped to piss for a third time during the race at about mile 36 (by the way I hate having to stop and piss because it always seems like I’m losing 20 seconds each time…but I really had to go!) 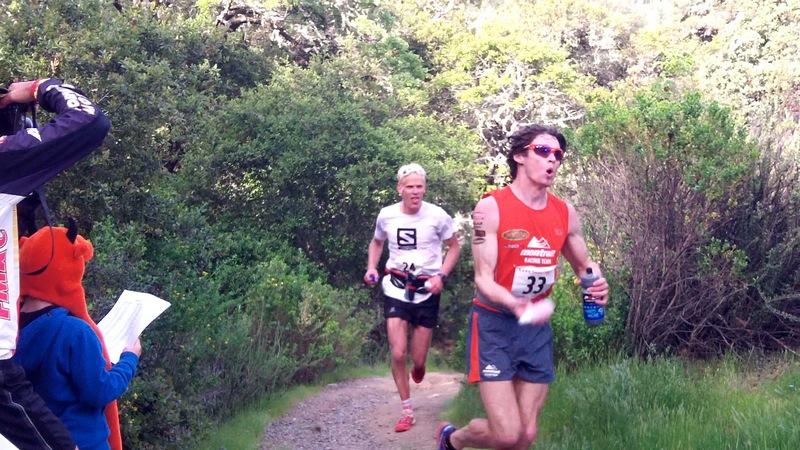 I had no idea Max King was just ahead of me around the next corner. Glancing at my GPS I braced myself for another 8min+ mile split because of my piss break and vowed to run the next mile faster to “make up time.” Around the corner and up a hill I was startled to see Max all of a sudden. I could tell from his stride that he was at a low-point in the race and that his pace had drastically slowed. As I passed he mentioned he was hurting and he encouraged me to go for the course record. By the time I got to the final full aid station at mile 38.5, I had put a couple minutes on Max and really surprised my parents (who assumed I would still be in 3rd place). 5:35. 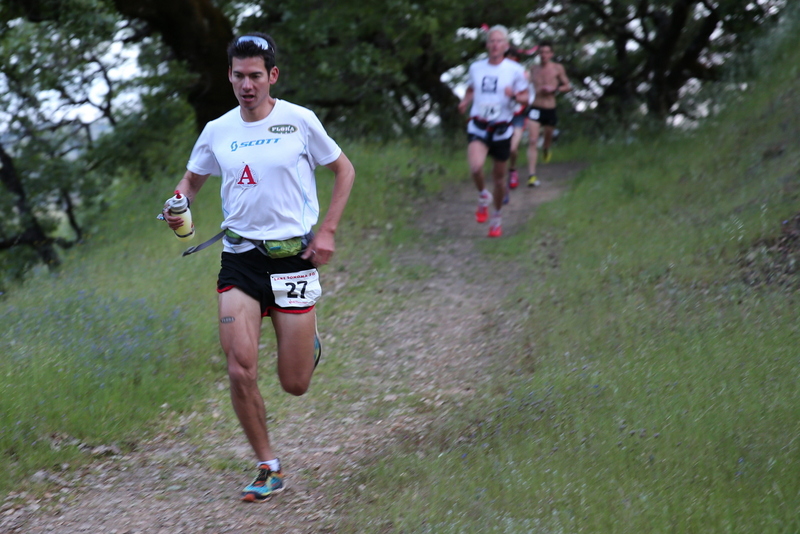 That was what Dakota Jones split at the 45.5 mile aid station en route to his 6:17 course record run. It was exactly the time that read on my watch at that final aid station. With my stomach feeling better (and knowing I had at least a 5-minute lead) I was able to ramp up my effort again for the final miles of climbing. Sneaking under the course record was the main thought on my mind and every mile that clicked off on my GPS was a huge relief. During the final mile I was able to enjoy feeling full of the run and reflect on the support of my family, my girlfriend, my sponsors, and the running community that made this opportunity for me to race in Lake Sonoma possible. When I crossed the finish line in 6:14:55 I was greeted by RD John Meddinger and awarded with an over-sized 3L bottle of wine from a local vineyard. Not ready to pop open the cork yet, I immediately downed a couple beers instead. [My parents who crewed for me while filming the race deserved this special bottle anyway and I assume they drove it back home to Oregon to age). I’d like to give a special thanks to the support of all the volunteers, local sponsors and John for putting on a great race and also allowing me to perform at my best on an amazing course against great competition. The camaraderie of the ultra running community was also very enjoyable around the finish line after the race! Overall, I felt very fortunate to be able to run in such a scenic venue and execute a race according to plan without getting lost, breaking a bone or epically bonking. 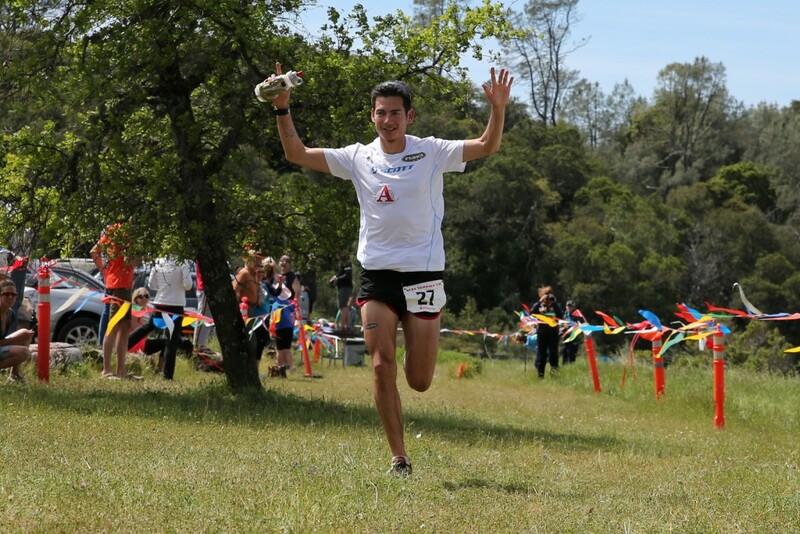 It was an effort that I’d like to compare to the White River 50 (as I ran similar time there), although the continuous bombardment of hills at Lake Sonoma proved to be a very difficult and different challenge. I look forward to racing at new venues and learning more about the sport this year. great job sage, and fantastic race report! Thanks so much – that is great to hear! Glad you like the videos and it’s helped your running. Best of luck with your future training and races! Sage, I had little doubt that if you were rested and paced yourself right that you’d come under that stout record of Dakota’s. Great job out there. It’s a joy to watch you try new types of terrain and longer distances, learning from each one and progressively getting better. Looking forward to watching the US contingent going up against the Saloman gang at La Palma. Should be a great day at the races! Thank you for the encouragment! It was very close with Dakota’s record and so I feel very fortunate I had the ability that day to run that time and pull off the win against many amazing runners. I’m really looking forward to Transvulcania and learning a lot more about the world-scene of the sport! Best of luck with your running as well! Well done on the CR! I hope you crush it at TransV, too! And, thanks to your mom and dad for the race coverage. hey thanks! I’ll try my best at Transvulcania but it will be very different there for sure. I’ve been really lucky that my parents have supported my running (and videos) for my whole career and I owe a lot of my running performances to them. I follow you since the Hansons and think that you have a real great future! You’re the man to beat Killian! Thanks so much for your kind words! I’ll try my best and hopefully have more room to improve in the coming years. There are lots of amazing athletes in the sport like Killian so it will be interesting to race with them on the world-scene! Thank you for your support! How nice is to see your movies. “Beer to fuel training” … ha ha ha! Great race report! thanks – the carbs and hops help me recover! Thanks so much for the support! It was a last-minute logo add-on! I had little doubt that you could bring down that stout record of Dakota’s if you paced yourself right and were rested from Tarawera. Good job! You’re obviously learning how to run these longer distances and save some in the tank for the end. Good luck at Transvulcania, that is gonna be a fun and challenging course and great experience for you as you expand your racing resume! Thank you for your comment! I really appreciate your words of encouragement. I think I got kind of lucky in my last couple of races and there was a fine line between me being able to finish and totally bonking and walking the rest of the way. I predict that Transvulcania will present a lot of new challenges for me so I can only hope that I’ll be able to learn quickly! Best of luck with your running as well! Great race and congrats on the win! Maybe you could write a few words on Transvulcania – it looks like it’s going to be a killer race with some really cool contestants. Hey thanks! I’ll probably post a training VLOG on my youtube channel talking about my prep for Transvulcania. I really have no idea what it will be like as it seems very exotic there and the course will have more vertical than anything I have ever run. The competition will also be top notch and it will be a very tough race for sure! Great report Sage, I have to say there are a lot of people in the ultra running community who inspire me to get out and run and you are one of them. I appreciate the effort you put into your running, reports and videos. I am hoping to step up to the marathon in October (Snowdonia Marathon UK 2825ft accent) but I have chosen a demanding one! Keep on running Sage and don’t step up to that 100 mile distance yet, despite all the call outs! Thanks Tim! I’m very glad to hear you like the race reports and videos and they help motivate/inspire your running. Best of luck with the Snowdonia marathon (sounds like a great one!). I really appreciate your support! I guess that is the next step in training…learn to piss on the run! Great job Sage and look forward to running with you at Cayuga 50, albeit a few steps behind you. Grea to hear you’ll be doing the Cayuga Trails 50 as well. It will be gorgeous with the waterfalls in the summer…and I’ll probably still have to stop and piss (haven’t really tried to go on-the-run in training, but it wasn’t going to happen running fast during the race!!). Thanks again for the support and best of luck with your running too! Congrats on a great race and a new record! Do you realize you’re the only one (as far as I know) who responds to almost every single comment? You’re not only the fastest but also the nicest US runner online. Love this way of communicating with people when everybody feels noticed as a partner of mutual dialog. Hope your pattern will be followed. All the best for Transvulcania and hope to see more videos of your racing and training! Thanks so much for the nice comment. I think I’ll reach a point where it may be too hard to respond to all the comments (it’s happend on my YouTube channel now but I’ll try my best to find the time as I really do appreciate the support!). Thank you for the well wishes at Transvulcania and best of luck with your training! Congratulations on a great race! 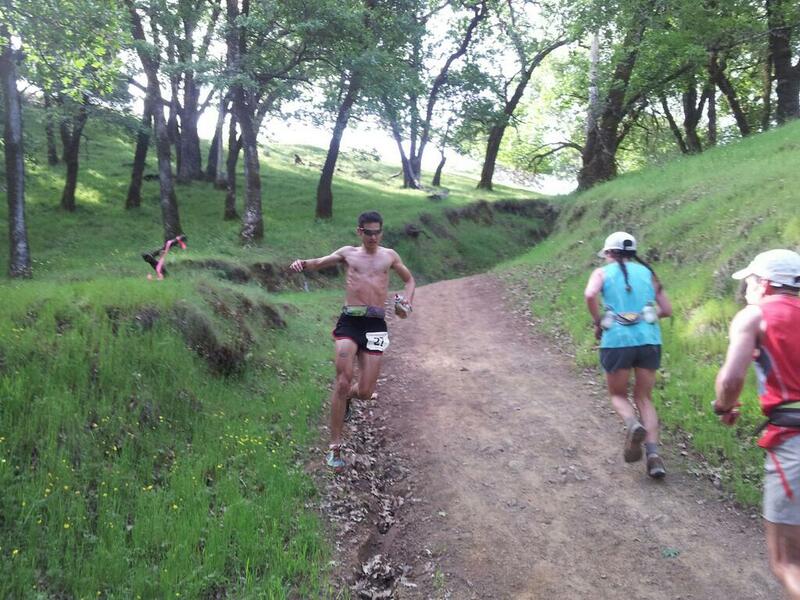 As an older ultrarunner (57), it’s very inspiring & encouraging to read these race reports. When I see the front runners coming back on an out and back course, I always give encouragement and any info I have, though wondering if it’s heard so it’s good to know it provides some small help! Good luck at Transvulcania! Thanks so much for your kind words and support! I’m inspired that you’re out there at age 57 (one of my goals is to still be able to run when I am that age so keep up the great work!). Glad you liked the race recap. Best of luck with your training and future races! As a Cornell guy (’12), it is inspiring to see you and Max King having such success at a wide variety of distances. Maybe I’ll bump into you sometime at a race. Keep at it, Sage! Congrats on the Avery Brewing sponsor too… that is awesome! Thanks so much for the support and kind your comments. 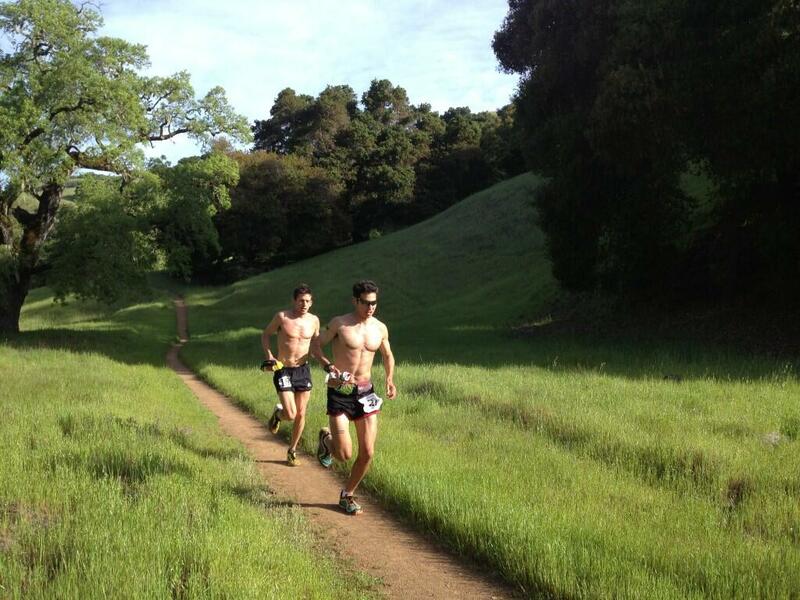 Max really motivated me to try trail racing and has always been an inspiration. Another signature victory. Hope your prep for the Canaries has gone well. Thinking your superior cardio motor should come in handy for the very long climb over the early miles and your work towards better downhilling should show on the giant descents. Best of luck against the very best in the world! Might you be around Cali again in late June? Perhaps in the neighborhood of Auburn or Foresthill? If you find yourself at Foresthill on June 29th, 2013 at around 2-3 pm PST, bored with nothing to do, and you feel like a jog of say…38 miles, mostly downhill. I’ll totally jog that thing with you. Seriously, do you know if anyone from SCOTT will be around for States and wants to jump in with me? Trying to assemble some kind of team to keep my mind from frying in that heat. Thanks for your support! It will be a tough race this weekend for sure. As much as I’d love to help a fellow SCOTT athlete out I probably won’t be able to make it down to CA in late June. I’ve been asked to pace others too but the timing of that race, some busy travel right before it, and my girlfriend’s birthday are going to make it too hard to pull off (sorry). Looking forward to your TransV report. Exciting stuff. Training is going well and our trails are beginning to melt and offer better options. The heat will be an issue coming from Idaho…but an issue for everyone. Enjoy the downtime in Colorado. Might be visiting CO for a race this fall- probably RRR100. Hope your training is going well!! this is my 1st time visit your blog. Nice info of your race report. I just start to run and join some race in my country.get much info from your blog to enjoy running. hey thanks for visiting! Glad you’ve started running and have found some useful info on my blog!